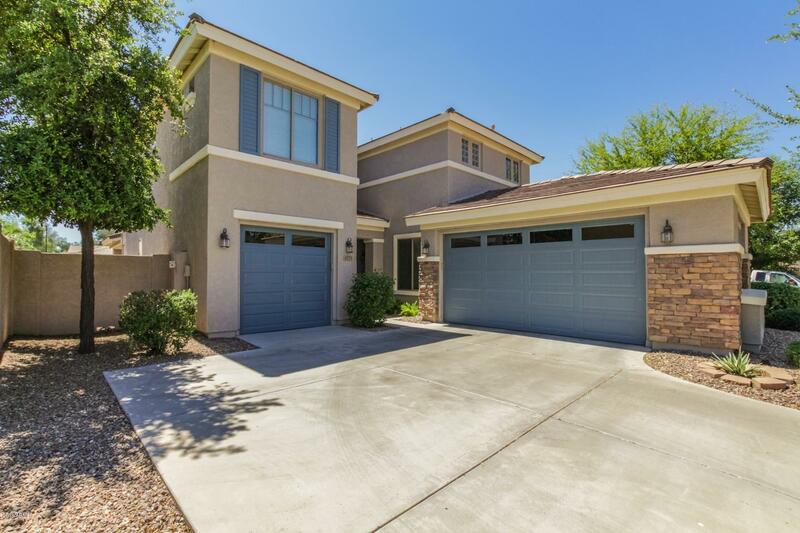 Highly sought after POWER RANCH home features 4 beds, 3 full baths, formal living & dining, family room wFP, open kitchen wstaggered cabinets, island, newer stainless appliances & granite countertops. No carpet on the main floor & newer carpet upstairs.1 bed wfull bath downstairs. Master split from other bedrooms wlarge walk-in closet, double vanities, separate tub & shower. Loft wbuilt-in desk, upstairs full bath wdual sinks. Fresh interior & exterior paint. Enjoy a private yard & pool surrounded by single story homes. New cool decking & mature landscaping & paver patio in backyard. Power Ranch offers 2 clubhouses, 2 catch & release ponds, 2 community pools, parks, tennis, basketball & volleyball courts & shopping nearby. Many upgrades completed between 2016 - 2018 to ask about.